Lupinus lepidus var. cusickii (Cusick’s lupine) is a narrow endemic forb inhabiting eroding volcanic ash deposits in eastern Oregon’s Baker County. Given its extremely limited geographic distribution, the Oregon Department of Agriculture has listed it as a state endangered species. 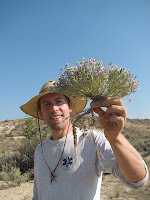 The BLM considers it to be a special status species, meaning that management actions must be taken in order to avoid having the plant listed as threatened or endangered on the federal level. 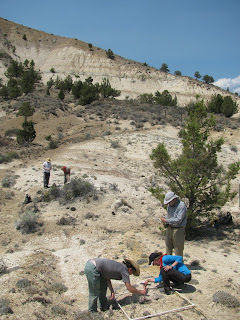 All populations fall within the Blue Mountains physiographic region, part of the Columbia Plateau geologic formation. Cusick’s lupine was originally discovered in 1886, but very little information existed about its range and population extent. Over the past several decades, field surveys have been conducted using the Intuitive Controlled survey method to determine where populations currently exist. Potential habitat was first identified by analyzing aerial photos and topographic maps. To date, there are five small populations of Cusick’s lupine found on BLM land in Baker County. Although the plant was uncommon throughout the survey area, locations that did contain Cusick’s lupine were fairly densely populated. The known populations were found on eroding hillsides where competition from other plants species was low. Surveys will continue to be conducted throughout areas of interest to provide accurate information about the full extent of the population and to help prioritize management actions. Cusick’s lupine is a low-lying perennial, often found growing in dense clusters. Short purple and white racemes, which flower in July, are generally surpassed by the plant’s foliage. Stems are branched at the base and leaves are mainly basal. There are four other varieties of Lupinus lepidus occurring in eastern Oregon, but variety cusickii can be distinguished by its low raceme position, short stature (up to 11 cm tall), and erect growth. 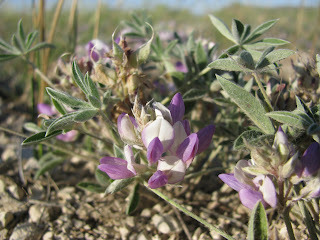 Seed production is vital for population maintenance since Cusick’s lupine does not reproduce vegetatively. Population monitoring on permanent transects began in 1993 and has continued to occur intermittently. Fences were erected at three populations to exclude human disturbance from portions of the population. 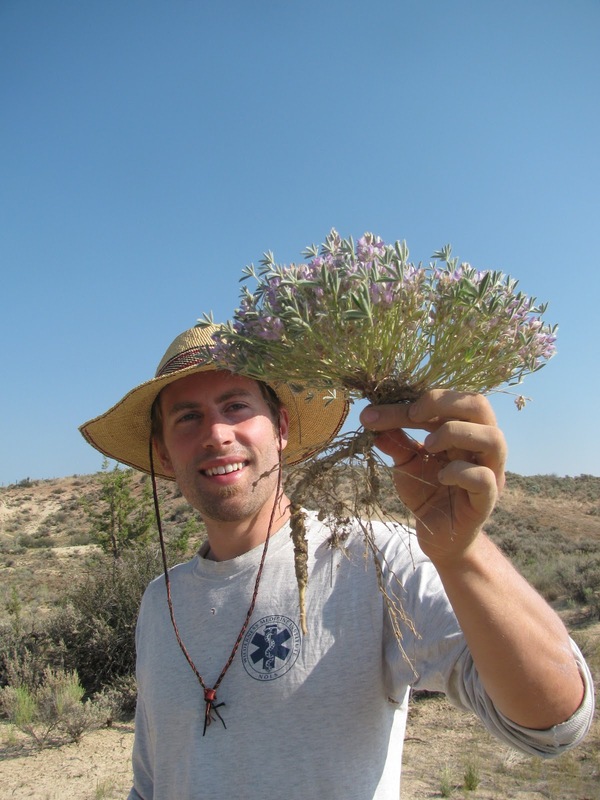 This season, Vale District BLM Botanist Roger Ferriel joined the IAE crew to assist at several monitoring sites. At each monitoring location, data was recorded regarding plant height, diameter and perpendicular width, the number of inflorescences and evidence of herbivory. Population density and plant health have varied considerably over the years, most likely due to climatic variation. Threats to the Cusick’s lupine populations include small population size, invasive species, and human disturbance (off-road vehicle use and illegal dumping). Although the populations do not appear to be in immediate danger, continued disturbance by humans could potentially degrade the limited habitat available to this lupine species. Since little information exists about cultivation of this species, seeds were collected from three populations to be used in future germination trials. A subset of these seeds will be sent to the Rae Selling Berry Seed Bank to be stored in case reintroduction projects are needed to mitigate unforeseen anthropogenic or natural population disturbances.